Bring your group to Tyler Hill for a trip that will leave your group raving and reminiscing the entire way home and will leave you remembered forever for planning such a fun event! Whether planning a first-time event or one with a long tradition, Tyler Hill is a great way to put a unique spin on your event and bring the excitement up to a whole new level! Whether planning a first-time event or one with a long tradition, Tyler Hill is a great way to put a unique spin on your event and bring the excitement up to a whole new level! The guests in your group will get the chance to participate in your event, while simultaneously relaxing under blue skies and beside tranquil lakes on our gorgeous campus. 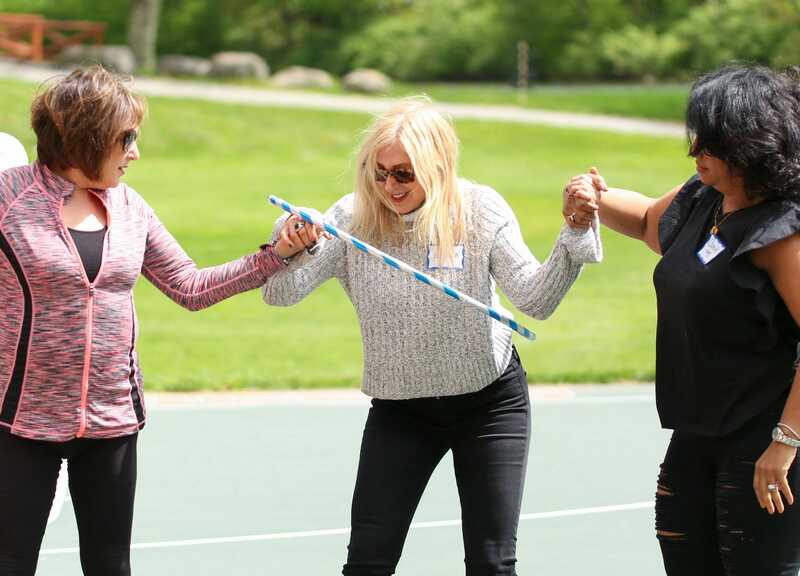 When your group isn’t busy working, meeting, or celebrating, we have plenty of high-energy activities to keep everyone laughing and smiling. Our campus is located in the Pocono Mountains of Pennsylvania. We welcome groups of all different types including: retreats, training camps, private celebrations, and many other event types. Our facilities include a long list of athletic fields and courts, indoor gathering space, our lake waterfront and beach, pool, and more. We are available for events on weekdays and weekends in late May, early June, late August, and all of September. Our team of Tyler Hill chefs can prepare many different types of meals for all different groups such as: formal meals, buffet service, and meetings with meal service. They always aim to offer you and your group a menu that meets all of your expectations and is loaded with delicious flavors. Our dining lodge offers ample dining space for even large groups and beautiful views overlooking the campus and surrounding lakes. At Tyler Hill, we provide all of our private groups with a venue liaison who supports them with many aspects of their planning from the moment they book their event at Tyler Hill through the very end of their event. Although we welcome non-overnight groups and events, we are best suited for multi-day, overnight groups. This allows guests the opportunity to enjoy the full range of our facilities. We can host groups as large as 350 guests. To learn more about hosting a private event at Tyler Hill or to schedule a tour, please contact our private events liaison, at 516.656.4220 or via e-mail at info@tylerhillcamp.com or fill out our Contact Us form. We will be in touch right away!